Making headlines at the recent American Association of Clinical Chemistry (AACC) annual meeting in Philadelphia, PA, as it continues to do on the global stage, was Zika virus, as companies scramble to develop diagnostic tests to detect Zika infection. 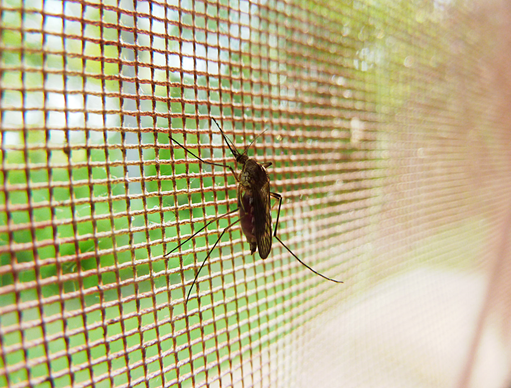 Aalto Bio Reagents introduced the Tri-Plex suite of proteins and antibodies at AACC 2016 for diagnosing Zika infection and ruling out cross-reactivity with similar Aedes aegypti-transmitted viruses. Tri-Plex includes Zika virus primary envelope protein and NS1 proteins, Chikungunya E2 wildtype, E1 mutant, and E1 wildtype proteins, and a complete set of dengue virus proteins for serotypes 1-4.
Credit: Aalto Bio Reagents Ltd.
Hologic featured its Aptima Zika Virus assay on the Panther® system. The assay has received U.S. FDA Emergency Use Authorization. It can detect viral RNA in serum and plasma down to single-digit copies per mL, with results in 3.5 hours. Siemens Healthcare Diagnostics has also received an EUA from the FDA for its VERSANT® Zika RNA 1.0 Assay Kit, validated for plasma, serum, and urine. Promega has adapted the bead-based Rapid Sample Concentrator (RSC) chemistry in its Maxwell system to perform extraction of circulating cell-free DNA (ccfDNA) on the high-throughput liquid handling instruments of corporate partners including Hamilton, Tecan, and Thermo Scientific. The company’s Maxwell® RSC ccfDNA Plasma Kit is platform agnostic and can perform fully automated DNA purification from samples up to at least 8 mL. In preparation for release of the Maxwell chemistry to IVD manufacturers, Promega has begun introducing cGMP polymerases. BioFire Diagnostics featured its benchtop, scalable FilmArray® Torch analyzer.. The Torch is compatible with all of the company's automated, multiplex PCR-based FilmArray™ panels developed for molecular syndromic infectious disease testing. Currently under FDA review, the Torch is a high-throughput, random and continuous access, standalone system that can test up to 264 samples per day. 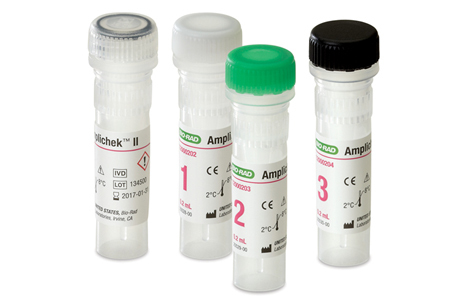 BioRad launched the Amplichek™ I infectious disease quality control product, which has received 510(k) clearance from the FDA for the assessment of nucleic acid tests for HIV-1, hepatitis B, and hepatitis C. The company’s Amplichek II QC had previously received de novo clearance for use with tests to identify health-associated infections. Next from BioRad will be Amplichek STI, which encompasses QC for nucleic acid-based tests for C. trachomatis, N. gonorrhoeae, and human papillomavirus (HPV) tests. Having purchased the assets of Diadexus, Diazyme Laboratories is now offering the Diadexus PLAC® assays. The FDA-cleared PLAC ELISA Kit aids in risk assessment for coronary heart disease (CHD) and ischemic stroke associated with atherosclerosis by quantifying lipoprotein-associated phospholipase A2 (Lp-PLA2) activity in blood. bioMérieux announced submission to the FDA for 510(k) clearance of the BacT/ALERT® VIRTUO™ automated blood culture system. The system is CE-marked for use in the European Union. It is scalable, with the capability to combine up to three additional incubators into a single command module. Vela Diagnostics presented a next-generation sequencing test able to detect HIV drug resistance mutations in the virus’s protease, reverse transcriptase, and integrase genes. The Sentosa SQ HIV-1 genotyping assay provides automated sample processing and produces a result in 2.5 days. At the AACC meeting, Thermo Scientific featured two new FDA-cleared EliA IgG tests for detecting anti-thyroglobulin (anti-TG) and anti-thyroid peroxidase (anti-TPO) in serum or plasma. These quantitative autoantibody assays are used to diagnose thyroid-related autoimmune disorders such as Graves' disease and Hashimoto's thyroiditis. Also receiving FDA clearance is Thermo Fisher's new enzyme immunoassay to detect hydrocodone. The DRI Hydrocodone Assay has good cross-reactivity to the major metabolites hydromorphine and hydromorphine-glucuronide and correlates well with LC-MS/MS test results, according to the company. 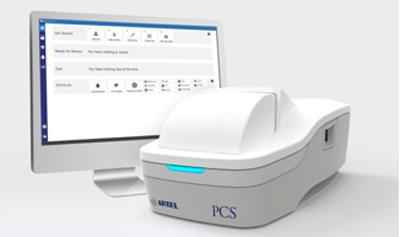 Artel introduced a new photometric 2-dye calibration system for hand-held pipettes, featuring a more ergonomic handpiece that also allows for ambidextrous pipetting, an automated lid open/close mechanism, an updated user interface, and new software designed to streamline the calibration workflow. Artel has already released the software and will make the instrument available toward the end of the year. The company designed the new system to meet increasing regulatory and security demands, including the need for records of operator log-ins, use, and training to demonstrate operator proficiency, and up-to-date usage, calibration, and repair reports for each pipette in the laboratory. 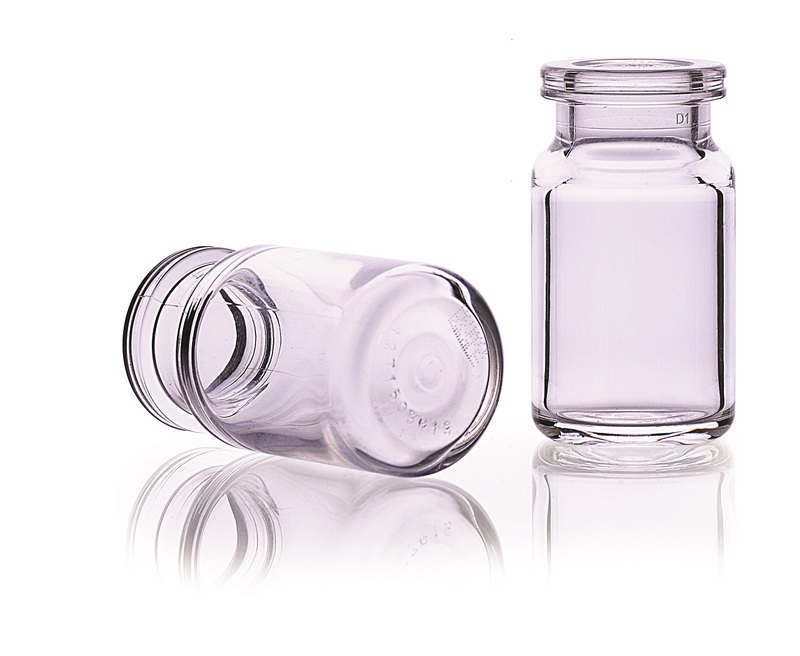 The new DualFUSION Vial from WHEATON® combines the mechanical strength and breakage protection provided by its outer plastic (cyclic olefin polymer) shell with an inner glass (SiO2) lining that provides a barrier layer to protect sensitive reagents and potentially reactive samples. WHEATON used plasma enhanced chemical deposition (PECVD) technology to fuse the inert inner glass layer to the crack-resistant outer plastic layer to form a covalently bonded material. Wayne Brinster, president and CEO of WHEATON, says the DualFUSION vial offers specific advantages for the clinical chemistry market, including less chance of breakage, minimizing the loss of costly reagents and improving worker safety, and a new option when glass is the material of choice, such as with certain protein reagents (especially "sticky" proteins such as gamma globulins), which are more likely to bind to plastics. Hamilton featured its ELISA NIMBUS®, which is dedicated to ELISA processing and can accommodate up to eight 96-well plates and 18 60-mL reagent reservoirs (or three 12-column SBS reservoirs with 21 mL/column capacity). The analyzer can perform up to 12 assays per plate or run and includes four independent pipetting channels and four independent shaking incubators. In the area of hemostasis diagnostics, Instrumentation Laboratory featured the new ACL TOP® Family 50 Series Testing Systems, encompassing five models that all integrate pre-analytical sample integrity checks. New reagents for hemostasis testing included HemosIL® ReadiplasTin®, a liquid ready-to-use assay for measuring prothrombin time, and HemosIL HIT-Ab(PF4-H) , a qualitative immunoassay for detecting anti-platelet factor 4/heparin (PF4/H) antibodies, which may be present in patients with heparin-induced thromtocytopenia. The demand for accurate, cost-effective, and easy-to-use methods that can deliver fast results on compact automated systems is driving rapid growth in the point-of-care (POC) IVD market. Access to actionable patient test results during a physician visit supports a test-and-treat scenario that can save time and avoid delays in initiating therapy. For infectious diseases, for example, this can mean initiating targeted antimicrobial therapy more quickly. For sexually transmitted infections, it can help reduce loss to follow-up and risk of transmission. 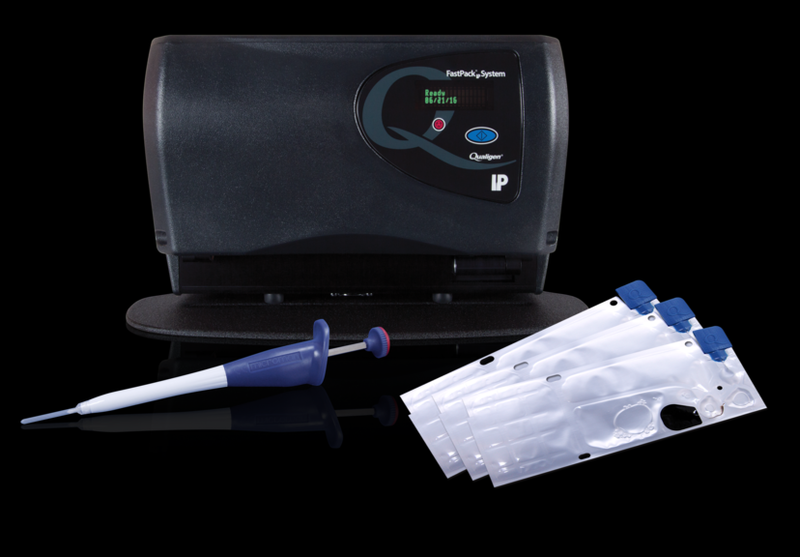 Sekisui Diagnostics has expanded its POC diagnostics product line by becoming the exclusive distributor of Qualigen's FastPack IP System. The automated chemiluminescent immunoassay-based system provides quantitative blood test results within 12 minutes for vitamin D, testosterone, TSH, FT4, total and free PSA, and hCG. Abbott highlighted its new Alinity™ family of diagnostics systems, supported by the already-launched Alin IQ™ combination of informatics and professional services, intended to help customers extract more value from their data and improve operational productivity. The Alinity suite of systems will include immunoassay, clinical chemistry, POC, hematology, blood and plasma screening, and molecular diagnostics platforms. Abbott recently received de novo clearance from the FDA for its i-STAT® Alinity™ point-of-care (or, as Abbott prefers to describe it, "with-patient testing") system with the i-STAT sodium test; the portable blood analyzer also has the CE Mark. New offerings from Randox Laboratories included the Multistat POC analyzer, which can test for 20 drugs of abuse in an oral fluid sample, providing results within 15-18 minutes, and the RX altona semi-automated chemistry analyzer. Atlas Genetics featured the io™ CT test for Chlamydia trachomatis and the io CT/NG (not available in the U.S.) for C. trachomatis and Neisseria gonorrhoeae, with test results available within 30 minutes.